Olly was always a very well child until he suddenly aged 2 he started to complain about leg pain and was often poorly with infections. After many weeks of doctors visits we where told that “it’s just a viral infection” but whilst on a family day out in April 2014 we decided that we needed a second opinion so took him later that day to Wigan Hospital. Straight away the nurse looked at him and asked “is he always that pale?” After a blood test we where visited by a doctor who advised that he wanted to refer him for further tests so off we went in a blue light ambulance to the Royal Manchester Children’s Hospital. This was the day that our lives fell apart. What followed is still a haze but as parents having to watch your 2 year old son endure chemotherapy treatment still haunts me to this day. 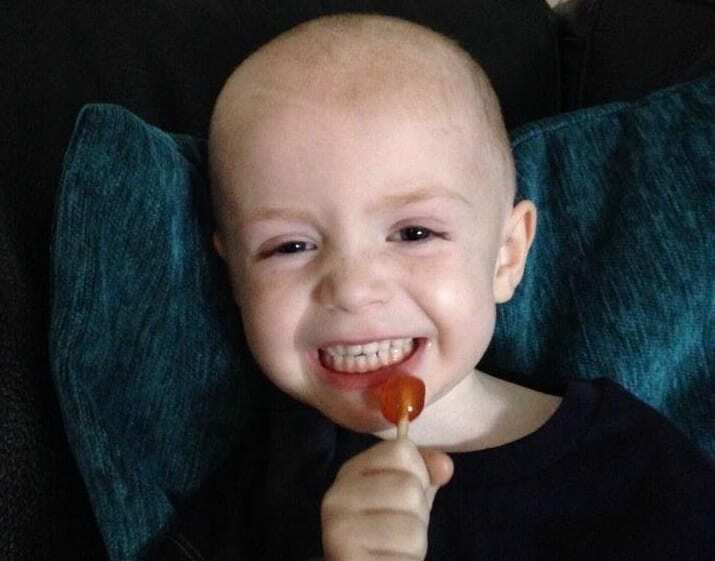 Olly started his chemotherapy straight away with a hickman line being fitted within a few days of diagnosis and the initial response to chemotherapy was positive and even managed to be allowed home for his birthday only 2 weeks after being admitted. This didn’t last too long as shortly after with no immune system Olly picked up a stomach virus and ended up in Intensive Care for a week on constant care. After 6 months of treatment the intensive part of his chemotherapy was finished and we received the news that no more Leukaemia cells had been seen in his bone marrow and we started maintenance therapy. This involved 3 years of bi-weekly visits to hospital to have his blood tested and take oral chemotherapy every night. In July 2017 Olly rang the end of treatment bell at RMCH and is now having 3 monthly check ups. He is in year 2 at school and doing very well. He is very clever, happy and caring young boy with his whole life ahead of him.